Today’s wholesale clearance deal has been presented by a German wholesaler. 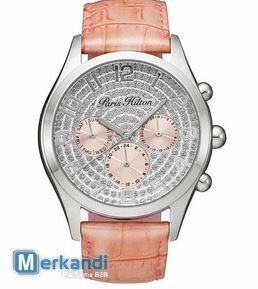 He has a large consignment of Paris Hilton wholesale watches, and to sell them as soon as possible, he heavily reduced the prices of these wristwatches. In our opinion, these wholesale watches have a potential to become a real bestseller of the forthcoming Christmas season, obviously because of the celebrity’s name on them. Nevertheless, the decision is solely Yours, and You should know if this type of wholesale merchandise will have any use for You.